Depending upon the conviction, criminal traffic offenses (such as DUI or DWI) can result in a wide range of penalties, including: incarceration, probation, community service, drug and alcohol testing, counseling and alcohol related programs, loss of driver’s license, seizure and forfeiture of vehicle, steep fines and costs, and insurance rate increases. These type of offenses are often not subject to expungement, and upon conviction will be a permanent mark on your criminal record and driving history. 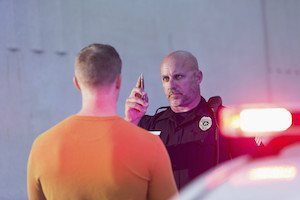 Regardless of your alleged offense, a criminal traffic charge should never be taken lightly. It is imperative to seek legal representation from an experienced criminal lawyer as soon as possible to obtain the best possible result. Give you the peace of mind that your matter is being handled by a professional, who will defend the case in the right manner. If you receive a traffic ticket it is important to address it immediately. Failure to timely address a traffic ticket can result in a default judgment, added reinstatement expenses, suspension of driving privileges, and a bench warrant. It is often either difficult or impossible to obtain a reduction of a ticket once it goes into default status.